This morning Patrick was telling Sherree that the skid steer puts dirt in the dump truck. This afternoon our enclosed porch was warm from the sunny day and we spent some time out there. 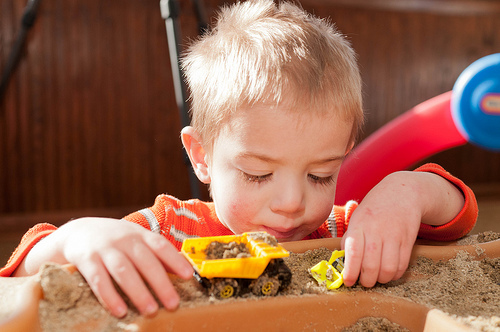 Patrick played in the sand box, reenacting the story he told Sherree.